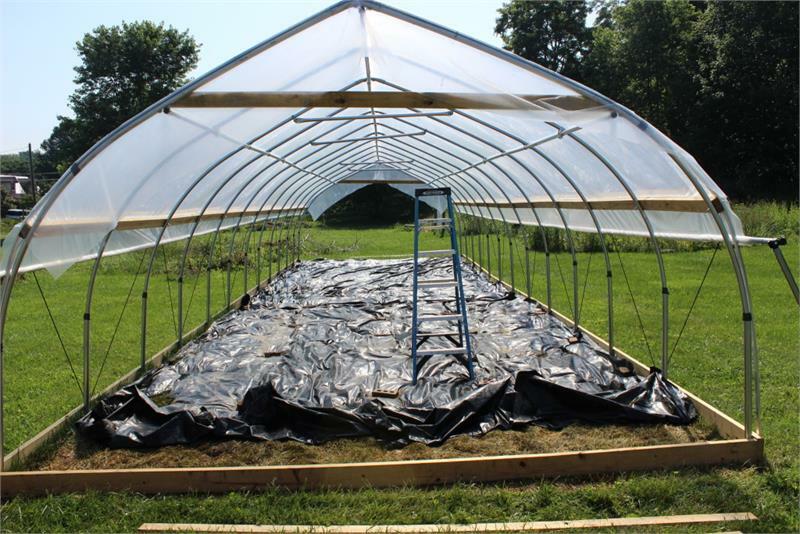 Build a Greenhouse > Roll-Up Side Hardware. Introducing our own Greenhouse Roll Up Side Crank Handle and Swivel Connector Set. Manufactured here at LCGS. 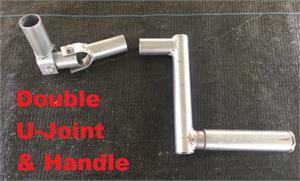 The video below was made by one of our customers using our Single Swivel Joint. 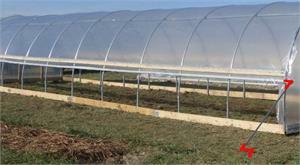 They can be used on greenhouses up to 96 feet long. 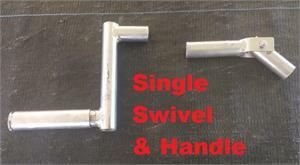 NOTE longer greenhouses may require one swivel crank at each end of the greenhouse. Attach rope to wood bands with small eyebolts, leave enough slack in rope to allow the poly to roll up and down. The bellowing of poly roll up sides can be controlled by lacing 1/4" to 5/6" between the upper wood band and the lower wood band at diagonals over the poly in the closed position (see photos). Poly can then be raised or lowered without the wind bellowing it outward.